Today on Sunday 16 May 2010 the biggest match of the T20 World Cup 2010 The Final is going to take place between two great teams Australia and England. Australia Qualified for Final after defeating Pakistan in Semi Final after a thrilling fight while England easily defeated Sri Lanka in the other Semi Final. Australia is the Favourite team for winning the T20 World cup but England has also performed great till now in this year's T20 World cup so they are very capable of doing a upset. England openers will have to give a good start and Kevin Pietersen will also have to play well to win this match. 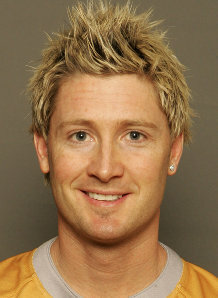 Australia will be hopping good performance by its Pace bowlers specially Tait and Nannus. Lets see who win this big game that is starting in few hours from now.